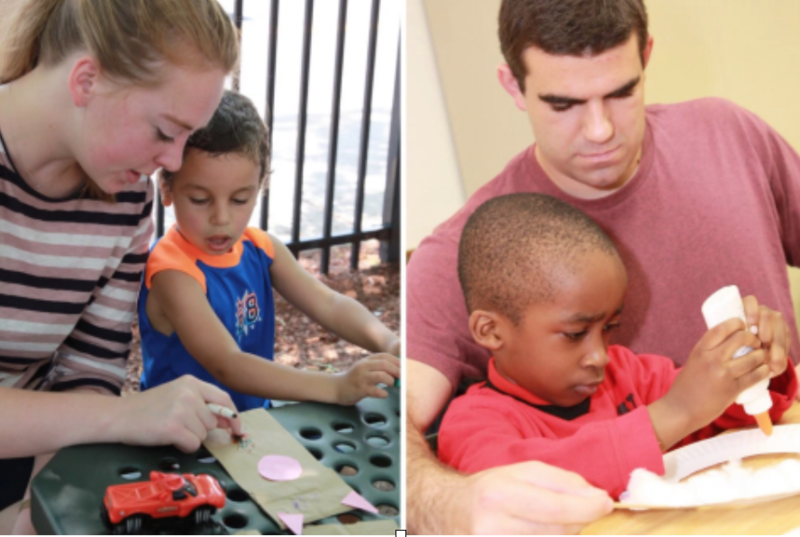 Duke students Emily Cohen and Kyle Peterson spent their DukeEngage summer interning at Raising a Reader Massachusetts. RAR MA is a nonprofit organization aimed at combatting low literacy in children by encouraging families to read together, and increasing families’ access to books. The mission and strategies used by Raising a Reader to achieve this goal stems from years of research conducted to understand the relationship between early childhood reading with parents/caregivers and academic success. Cohen and Peterson split their time with RAR between providing administrative assistance within the organization’s central office and providing hands-on service within the community. Cohen focused primarily on development of marketing tools. In an interview with the organization, Cohen stated that her initial attraction to RAR came from the scientifically supported, innovate approach to preventing destructive behavior in youth. Peterson worked on the creation a text messaging program for parents to use. He noted his enjoyment of work outside of the office, which allowed him to connect the administrative tasks he performed and the real-life impact they contributed to.